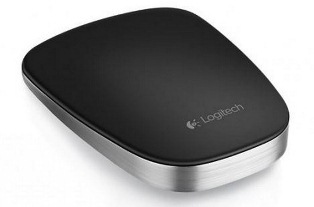 Logitech just received a 2014 iF product design award for their Ultrathin Touch Mouse which has a super thin design and is ultra-portable. Great for those of you on the go. The T630 connects to your devices using Bluetooth® wireless technology and the Easy-Switch™ technology makes it simple to toggle between your Ultrabook or desktop with the flip of a switch. Read more about all of Logitech's 2014 iF product design awards here. *Some features require software installation. The Workrite Sequoia™ addresses the growing trend of multiple flat panel display use and provides the flexibility and strong support required by today’s information workers. Sequoia supports from 1 to 6 monitors, each of which can weigh up to 16 pounds. 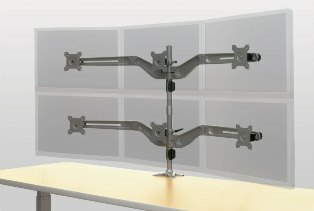 The wide arms accommodate displays up to 23" wide and 15" high. Place multiple Sequoias in a row and the number of monitors you can support is endless. Users will enjoy the ability to arrange their displays in a parabolic arc for a comfortable viewing angle. Monitors can also be tilted for glare-free viewing angles and rotated from portrait to landscape orientation as needed.